Around 60-70% of the human body is composed of water, so it's fair to say that water is vital for survival. It functions to keep our body temperature regulated, allows us to breathe, is essential in digestion and excretion, assists body movement, just to name a few! Drinking 8-10 glasses of water each day is recommended, but during exercise or when in hot environments, we need to drink more, because we sweat more. But is water enough? Or do you need a sports drink to stay properly hydrated? Sports drinks will keep you well hydrated and give you energy if you're participating in high intensity exercise for more than an hour. However, if you're not exercising to this level, plain water will do just fine. What defines a sports drink? Sports drinks (sometimes called electrolyte or isotonic drinks) are developed to contain the right level of carbohydrates (5-8 g/litre) and electrolytes (such as sodium and potassium) to keep you well hydrated; replacing what is lost from the body during exercise. Studies have shown as little as one percent dehydration can cause major changes in body temperature, while two percent dehydration will drop your performance levels significantly! So, to operate efficiently it's crucial to keep your fluid levels up. Other drinks that contain high amounts of carbohydrates stop water being absorbed quickly and therefore can delay hydration, so are not suitable before exercise. So, if you're doing a high intensity workout, choose a sports drink. But, if you're not working out to this intensity and drink them as part of your everyday routine you may end up putting on weight because of the extra carbohydrate content. 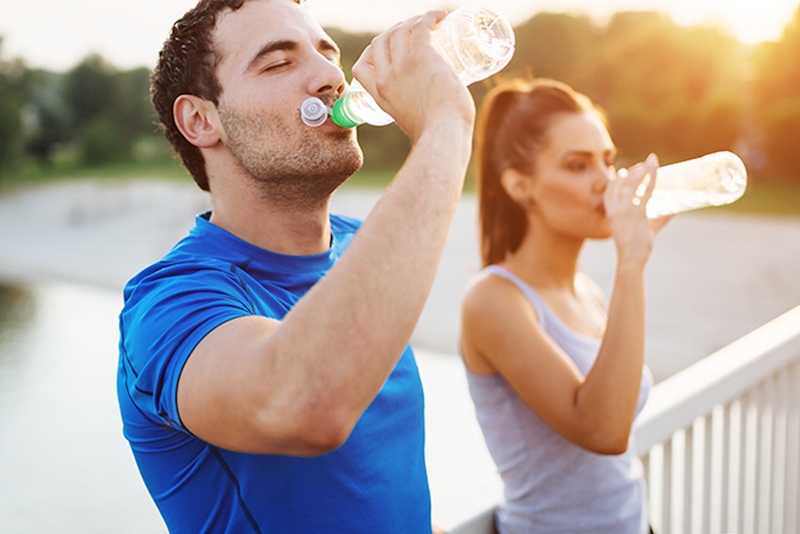 • Make sure you're well hydrated before you exercise — start drinking approximately two hours before.